All our hand designed baskets are available for nationwide delivery, allowing you to relax safe in the knowledge that whether it is a present for a friend or a touch of self-indulgence for you, your order will arrive safe and on time. An orange flowers posy with orange Asiatic lilies, orange roses, Chinese lanterns, and green santini chrysanthemums. This is a great value flower arrangement made from fresh flowers straight from our growers in Holland. An absolutely smashing extra large tropical basket arrangement in oasis. The flowers include proteas, three large heliconias, pincushions, calla lilies and anthuriums. For something a little different, there has rarely been a better choice. Designing flower baskets is a beautiful way of sending flowers to your loved ones. The beauty of flower baskets is that your recipient will have to do very little about looking after these amazing flowers, apart from enjoying them of course. All our flower baskets are arranged in premium floral foam, which means that they will not need to be placed in a vase and all that you required is a small top up with water every day or so to make sure your flowers stay fresh for as long as possible. We have been told by many customers that these flowers tend to last way beyond their expectations even without watering, so rest assured that you are on the right course at any time when ordering flower baskets from Flower Station. The robust nature of flower baskets will also enable for an easy transport and delivery of these flowers, as the flowers are in oasis, they are perfectly held together in a chosen shape that is simply guaranteed to impress. We have a dedicated fleet of professional delivery drivers working to provide first class, on time delivery for all our orders. Order one of our bespoke baskets before 6pm and we will guarantee same day delivery within the London. area. We also offer excellent next day deliveries nationwide on orders made before 4pm, meaning whatever the occasion, where ever in the country you are, we can provide fast and efficient delivery of our beautiful flowers. Never has it been easier or more accessible to purchase amazing, hand-crafted compositions that are only a click away, all brought to your door quickly and hassle-free by our drivers. 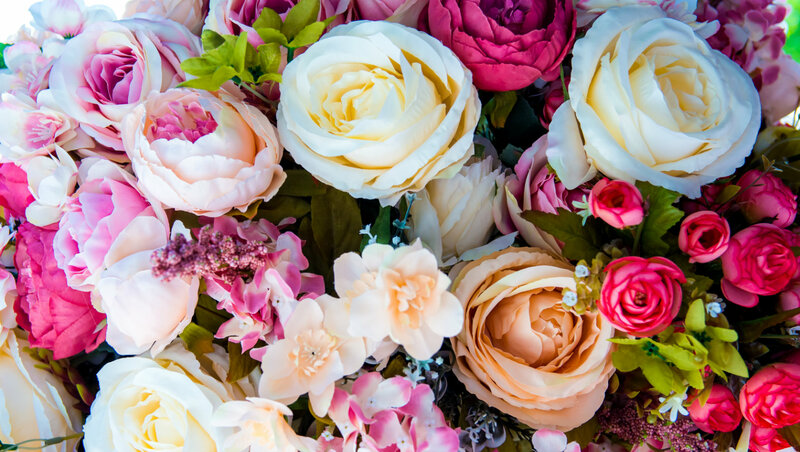 Whether you want to treat yourself or a loved one to the delight of fresh flowers, we can get them to you fast, leaving you the time for more important things. Whenever you are in a need to send something different from flower bouquets and other traditional flower baskets, choose to pick one of the amazing flower designs we have on offer for you. Designer flowers are simply the best you can choose to send when looking to send flowers to your loved one with a more modern, or contemporary taste Designer flowers are created to taste and always with a lot of thought behind them. Our florists are constantly thinking about new ways to impress our loyal customers and we hope that our flower designs will go some way in satisfying the varying degrees of tastes our customers may have. Some of the flower designs on offer have been created by some of the biggest names the UK flower industry has to offer, so however big the occasion or the event, you can rest assured that we at Flower Station will have you covered. What's more, if you are shopping online for different types of designer flowers and are stuck not being able to find what you are looking for; just give us a call. Our amazing florist centre is open 24 hours a day, 7 days a week and we are always on the lookout to try and help out with flower designs and expert advice. Q. What if there are complications during the delivery, how can I make sure the flowers will arrive on time? A. We take every precaution when delivering, from the handling and packaging to the organisation and logistics of our driving team. Sometimes there are factors beyond our control – accidents on the roads that cause delays – and we aim to minimise the impact of such eventualities by staying in contact with our customers and updating them on any problems with the delivery process. Whether this means re-arranging delivery or leaving a package with a friend or neighbour, we will always do our upmost to ensure your satisfaction and receive a quality product in a timely fashion. Q. Can I contact the driver for updates? A. No, you cannot directly contact the drivers. However, our friendly staff are always on hand to deal with queries and can help with any delivery problems that arise. Thank you for the beautiful flowers, I was not disappointed and the recipient was quite impressed as well! Really happy with the flowers and vase I received, value for money no doubt. Would recommend.